Looking for something to do this summer? If so, Los Angeles is the perfect place to be. This summer there will be a number of events taking place all throughout Downtown LA. From outdoor movie screenings to live performances, there is always something to find. One event in particular to get jazzed up about is Dance Downtown LA. Are you in the mood to listen to some great music and dance the night away? 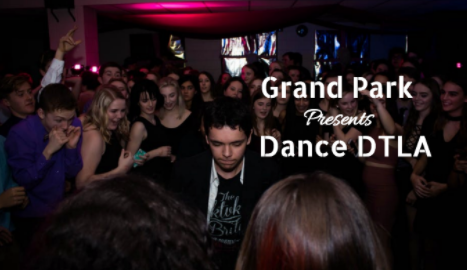 Want to discover new types of dance moves in a fun environment? If so, Dance DTLA at Grand Park is just the event you’ve been waiting for! Dance Downtown LA is a favorite local event that takes place in the summertime. Now in its 13th year, Dance DTLA is back and better than ever. If you hadn’t heard, Dance DTLA is an event that takes place on most Friday nights throughout the summer months where you can dance with friends and family under the stars. When coming to a Dance DTLA event, you’ll find yourself in a judgment-free zone where you can have fun dancing regardless of your talent level. At every dance event, there is a different type of dance being featured, which means you can learn new dance moves and have fun! At this event, you can dance to Disco, Cumbia, Line Dancing and so much more! This year, Dance DTLA will be entirely hosted at Grand Park in downtown Los Angeles.